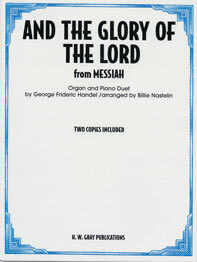 This beautiful arrangement of the world-famous opening chorus from Handel's Messiah gives each player opportunity with the melody. Written for organ and piano, this version is easy to learn and put together. Sure to be a favorite for years to come!